Blackjack, also known as 21, seems like it's one of the easiest card games out there. The objective is to get a higher score than the dealer without surpassing 21. And, ideally, you want to get blackjack. But if you think that blackjack is easy, that probably means that you don't actually know all of the rules, or how to maximize your strategy. There are lots of variations of blackjack, usually depending on the casino, but we're going to go over some of the universal rules and strategies in the game. And if you start to feel a bit confused while reading this - well, that just means that you're starting to understand the game. The cards' values. Cards with the numbers 2 through 10 have their face value - that's pretty easy. Jacks, queens, and kings are valued at 10 points. Aces can be 1 or 11 points. What 'blackjack' actually means. Surprisingly, lots of people think that blackjack is any card total that sums up to 21. But "blackjack" - also called "natural 21" - is only when you add up to 21 on the first two cards that you are dealt. You need to get an Ace and one of the 10-value cards for this to happen. Basic rules of betting in blackjack. 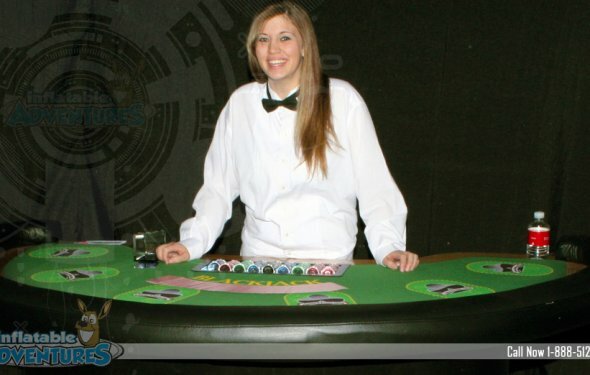 There are always minimum and maximum bets in blackjack. In some casinos, like Caesars, you can go all the way up to $50, 000. But the fun stuff comes after you've made your bet. Let's say that you bet $100. If you lose, the dealer gets your $100. If you win, you get your original $100 bet back, plus the dealer gives you $100. If you draw (or push) you keep your bet money. And if you get blackjack, you get your original $100 bet back, plus $150 from the dealer because for blackjack, you get 1.5 times your bet. Blackjack is fundamentally a two-person game. Sometimes players get too caught up in what the other people at the table are doing. But it is important to remember that you are only playing against the dealer. If you lose that mindset, it will affect your play. Understand what "Blackjack 3 to 2" means. Somewhere on the blackjack table there will be a sign that says, "blackjack pays 3 to 2". All this means is that you, the player, will get $3 for every $2 you wager. This is standard, and gives the house slightly elevated odds.